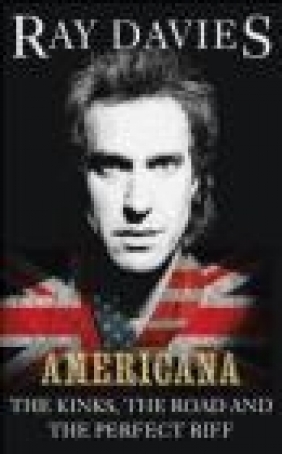 As a boy in post-War England, legendary Kinks singer/songwriter Ray Davies fell in love with America - its movies and music, its culture of freedom all fed his imagination. Then, as part of the British Invasion, he toured the US with the Kinks during one of the most tumultuous eras in American history - until the group was banned from performing there from 1965-69. Decades later, while living in New Orleans, he experienced a transformative event: the shooting (a result of a botched robbery) that nearly took his life. In Americana, Davies tries to make sense of his long love-hate relationship with the country that both inspired and frustrated him. From his quintessentially English perspective as a Kink, Davies - with candour, humour, and wit - takes us on a very personal road trip through his life and storied career as a rock star, and reveals what music, fame and America really mean to him. Some of the most fascinating characters in recent pop culture make appearances, from the famous to the perhaps even more interesting behind-the-scenes players. The book also includes a photographic insert with images from Davies' own collection from the band's archive.